Snow White and the Seven .... Consultants!? 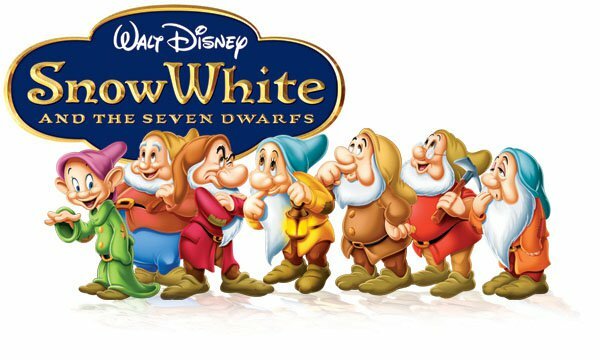 My favorite movie as a child was Disney’s Snow White and the Seven Dwarfs. As the first full-length animated feature in motion picture history, it is still a Classic and noted as one of the best Disney movies of all time. What I love about really ALL Disney movies is how much of the plot and storyline in these “Fairytales” can be seen in real life. 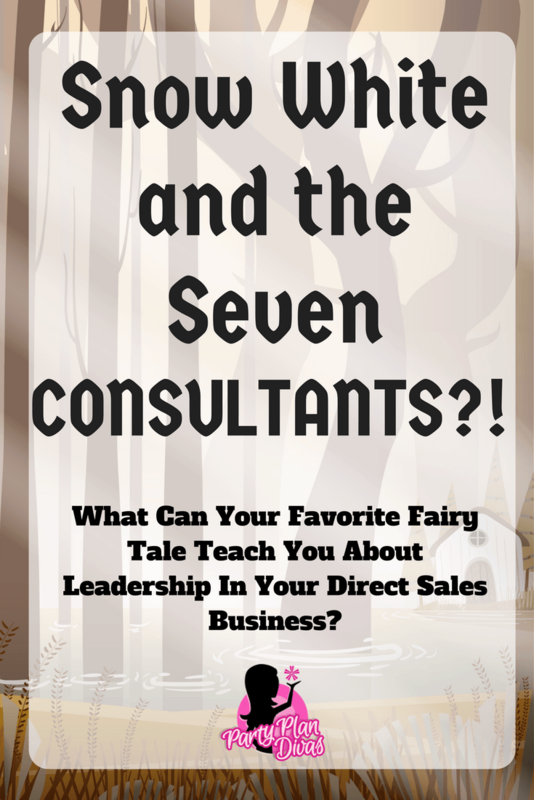 Check out how Snow White and the Seven Dwarfs can be seen in your Home Party Plan Business. My favorite part of Snow White by far is the Dwarfs. Sure Snow White was great, but the Dwarfs really MADE the movie. Watching it as a child I really never saw the resemblance between the Dwarfs and society as a whole. In fact, though my article below is more geared towards traits of different Home Party Plan Consultants, the truth is that absolutely everyone you know falls into one of these seven categories. Read below, and then leave me a comment with which dwarf YOU would be! Happy – Happy’s are your encouragers. Your Happy’s are always finding a silver lining. She will find the good in every scenario, and seldom will you ever see her sad or in a bad mood about anything. Happy is generally friends with everyone and often is the person people go to for support and encouragement. She is very likable and warm. She also will always support the Leader and is quick to complete any task you ask of her. She gets bored very quickly and will often be caught daydreaming during meetings, conference calls… possibly even the ones she is running. However, though she may daydream a lot, she is actually a very logical person and is very good at reasoning. Sleepy’s thrive on action and are usually pretty fearless. Dopey – Dopey’s have a simple sense of humor and are easily entertained. They have a very “happy go lucky” personality. Dopey’s are kind and gentle and are very good at dealing with a variety of people. They are not necessarily “Leaders”, but will speak up about a topic they feel strongly about. She will say “I don’t know” and “I’m not sure” a LOT. She will try to get away with never really having her own opinion. Some people will think that she really doesn’t “get it.” She is very artistic. Sneezy – Sneezy is always driveling about SOMETHING. She is very much a complainer, and will constantly interrupt by coughing, wheezing, sneezing, blowing her nose, etc. They are not risk takers at ALL, and would much rather be the “Right Hand Man” than in charge. She is a very “by the book” type person who struggles with bending or breaking the rules. To her, there are no exceptions to any rule. She has a strong sense of duty, and will complete any task given… just know that it will come with its fair share of complaints. She would be the most “high maintenance” person on your team. Grumpy – Grumpy’s are the easiest to identify – they always have a scowl on their face. Grumpy will be negative and judgmental of everyone and everything… regardless of whether deep inside she really loves it. Grumpy’s are generally tough to handle and can often make others feel uncomfortable in their own feelings and ideas. Grumpy’s desperately need attention but refuse to hive up any power to the Leader. She believes that even negative attention is still attention. Bashful – Bashful is nice and thoughtful, but never really gets INVOLVED in anything. She tends to be more of a wallflower and just enjoys sitting back and watching. She is very generous, almost to a fault, and works best when paired up with one other person. In a group, she will seldom be heard. She may not make eye contact very much and will almost never look at a speaker for fear of being called upon. She is more about conformity than having her own thoughts and opinions. She wants to always see and believe the best in people, and most often give any and everyone the benefit of the doubt. She will be very low profile but is incredibly loyal and dependable. 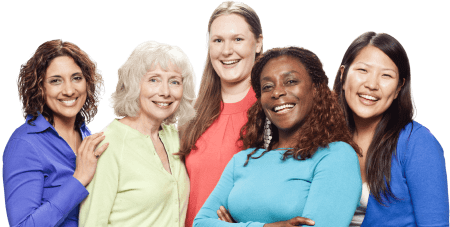 Doc – Doc is your problem solver! She will be the “Jane of all Trades” and offer a solution to any problem or issue. She is a natural born Leader and makes decisions quickly. She expresses her opinions easily and does not worry about how others feel about her. She has a strong drive for accomplishment and at sometimes seems to be trying to take over the Leadership role. She can be a bit intimidating to others, and often competitions arise when there are a few Docs in the mix. She is a very “back or white” type of person that is only interested in talking about the facts – not emotions. A total extrovert, Docs will generally rise to the top very quickly, and maintain that title for a very long period of time. Every new challenge is an opportunity. So, do you see yourself in one of these personalities? Do you see your team? Maybe… your Leader?